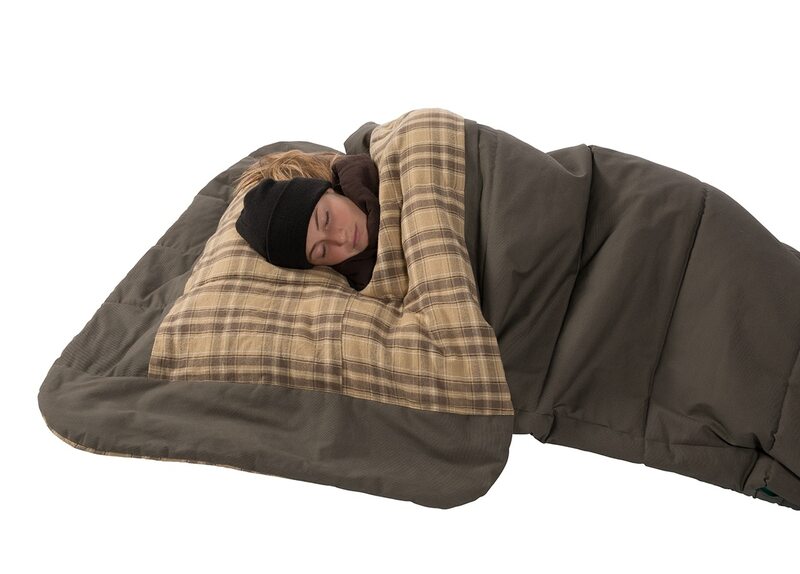 A good sleeping bag is a foundational piece of hunting gear. Everyone who spends time hunting or camping needs a good sleeping bag and likely they need more than one bag for different purposes. Sleeping bags generally fall into two major categories. The ultralight mummy style bag that you would use for backcountry adventures and the classic rectangular style bag one would use for car camping or cabins. The rectangular style sleeping bag hasn’t changed a whole lot in 50 years, until the recent release of the Kodiak Canvas Z Top Sleeping Bag. 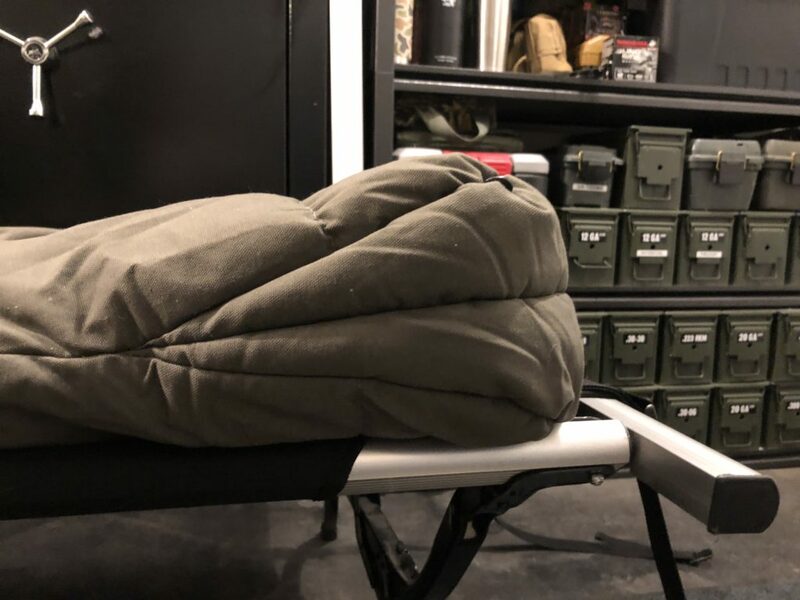 Kodiak Canvas, the makers of the innovative flex-bow tents of the same name, recently released an all-new sleeping bag. 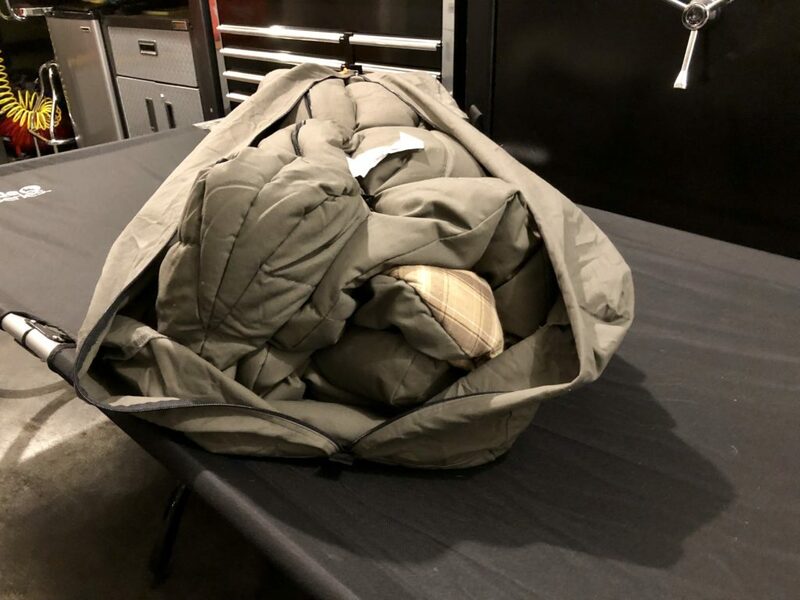 At first glance you might think that it’s just another classic duck canvas, flannel lined sleeping bag, but this bag has several features that make it a nice upgrade from your current sleeping bag. Let’s start with the canvas carry bag that comes with the sleeping bag. It’s a high-quality carrying bag made from the same heavy duty canvas that the sleeping bag is made from. 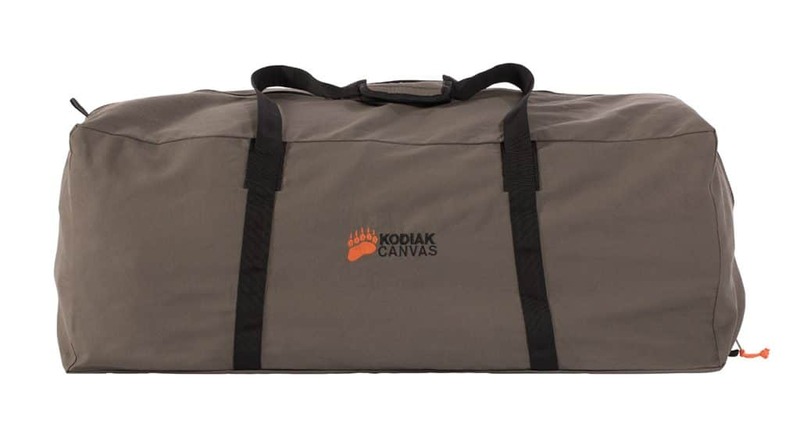 Kodiak Canvas Carry Bag zips completely open to make it really easy to get your sleeping bag in and out of the carry bag. 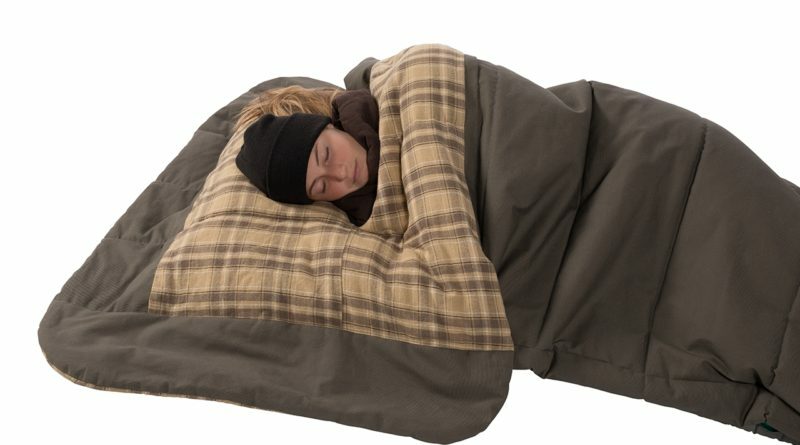 The most unique feature of this sleeping bag is the removable “Z Top” It’s basically a quilted flap with a neck opening. When it’s cold simply pull up the flap and put your head through the opening. I thought Z Top was an unnecessary gimmick until I tried it. It’s pretty amazing how much warmth and comfort it adds to the bag. Another feature that I really liked was the pocket that they sewed in to hold your mobile phone. “Tech Pocket” in the Z-TOP sleeping bag is a handy spot for your phone. 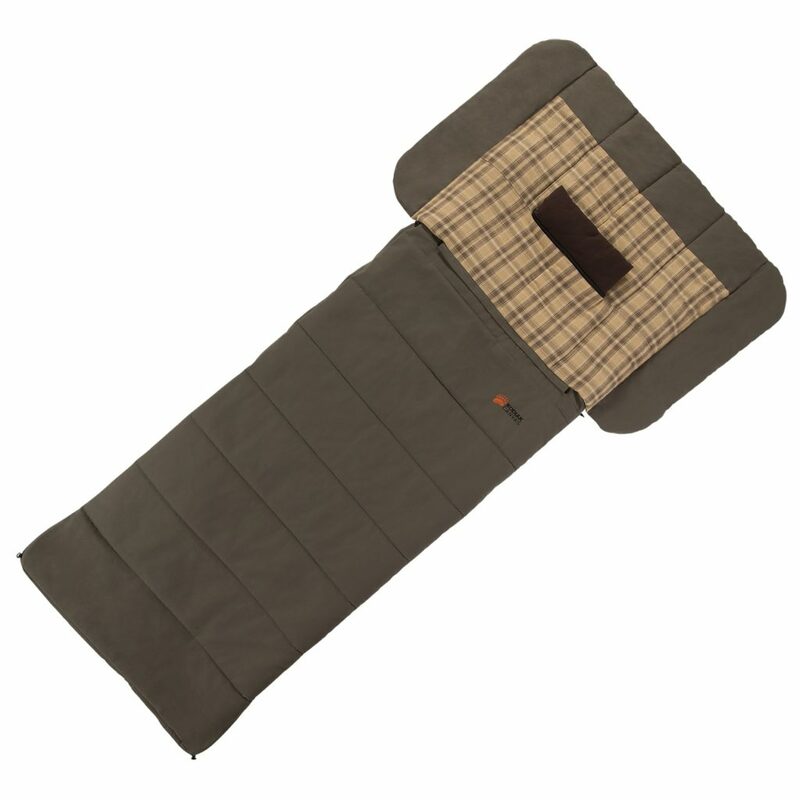 The Wedge shaped foot box gives your feet a lot more room than a conventional sleeping bag. A couple of years ago I went to my good friend Doug’s remote cabin in northern Minnesota in the dead of winter to go ice fishing. It’s a classic Northwoods cabin. It was -27 degrees Fahrenheit (actual temp not wind chill) for the entire weekend. When we arrived on Friday night we tracked snow into the cabin and it never melted the entire weekend. My 0 degree Z-Top Sleeping Bag would have been a welcome addition on that trip! 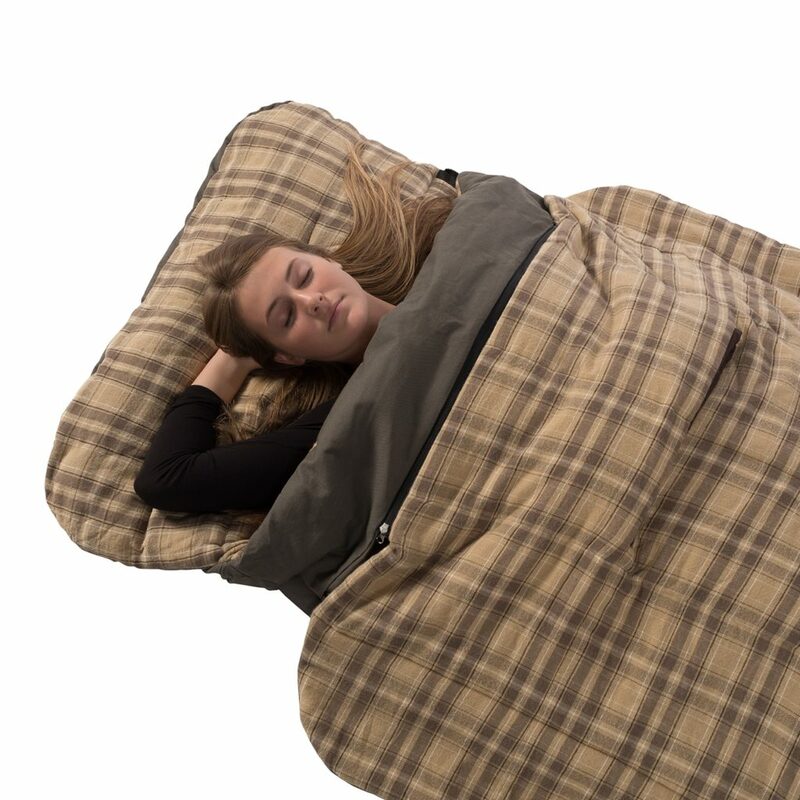 Especially with the optional Booster Quilt which increases the temperature rating of your sleeping bag by up to 30 degrees. Overall, the Kodiak Canvas Z-Top Sleeping Bag is a high-quality sleeping bag with several innovative features. If your current bag is getting long in the tooth, this is the one I would buy to replace it. If you’re taller I would check out the XLT version. It was plenty big for my 6’2″, 220 pound frame.